Ford Patent A hybrid V8 For Future Mustangs? 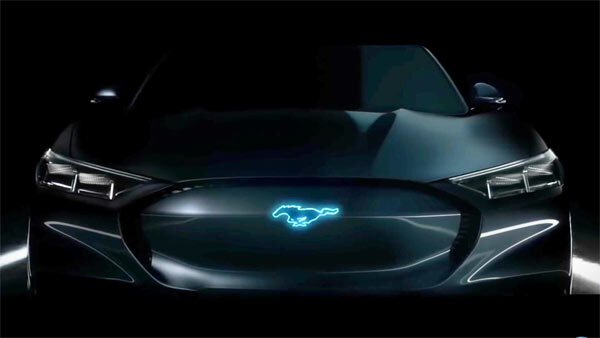 There have been glimpses and murmurings of a hybrid Ford Mustang for some time, like the moody dark image which accompanies this article having a very EV-esque front-end. 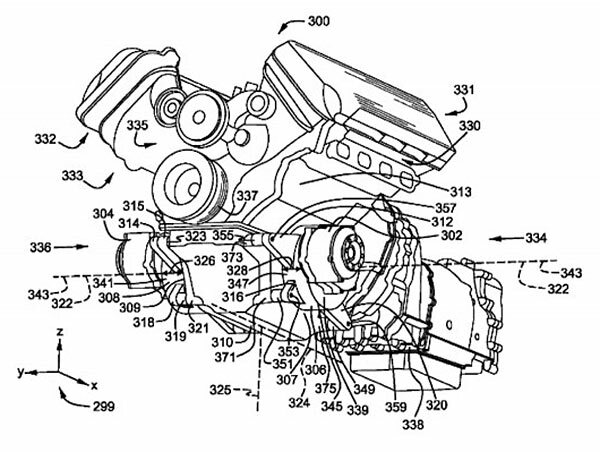 Now a new patent gives an idea of this new powertrain. There’s no direct reference to a vehicle, implying the engine could be used for anything from a Mustang to an SUV. The good news is inclusion of a V8 engine, which can be of any type as long as it is longitudinally mounted. The electric parts will be an electrical motor for each of the front wheels, while the V8 part drives the rear wheels. So, potentially not just the first hybrid Mustang, but also the first all wheel drive Mustang. Ford previously commented that a hybrid powertrain could, ‘deliver V8 power and even more low-end torque.’ Now the cooment seems to be literal, with an actual V8 engine and electric motors making up the rest. This stands to sense as Ford want to keep existing customers happy using a V8 engine while trying to attract some of the new crowd, then see what happens. In any case, hybrid versions of muscle cars are on the horizon. The news should also be seen as a positive, not one step closer to the phasing out of the V8. Future muscle cars which have the best of both worlds, A V8 with all the goodies and electric powertrains combined to give that instant torque off the dragstrip line, while still delivering all the adrenaline and energy of a V8 across the line. Stay tuned as the Mustang hybrid could be released in 2020. Related ItemsFord Patent A hybrid V8 For Future Mustangs?